A new rubber day. 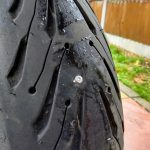 Back tyre was looking a little elderly and rapidly running out of legal tread (possibly a contributing factor to my last off). That said, I’ve had just shy of 2 years and around 13,000 miles out of it, so not too shabby. 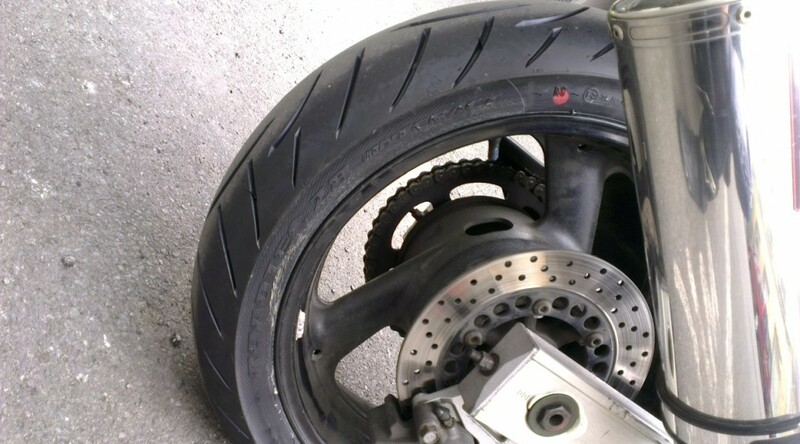 That was a Metzeler Z6. I’ve always been happy with the grip it has provided, so decided to try a newer Z8 Interact on the back. I already have a Z8 on the front which is just over a year old, so it certainly made sense to match it. The top chaps down at FWR fitted the new Z8 in super quick time during my lunch break and offered a competitive price too. So, thumbs up there. Just going to take it a easy now until it’s nicely scrubbed in. Metzeler are doing a deal to blag a £50 quid Dainese voucher if you buy a pair. But, my front still has plenty of tread and I don’t see myself buying (or affording) anything new from Dainese, voucher or not. Stuck a new tyre in Mary’s ZZR400 yesterday. 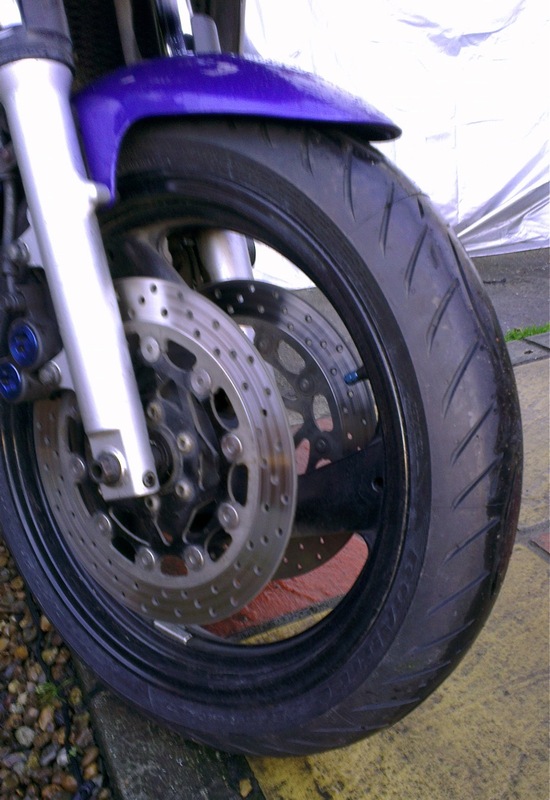 Nice Michelin PilotRoad, to match the rear. Big thumbs up to the guys down at FWR Kenington for sorting it out double quick during my lunch break. Definitely recommended if you in the city and need new rubber in a hurry.